This is a bit raw tonight, because our hearts are hurting badly! We all have to make a lot of decisions as parents, a lot! When you get pregnant there isn't a guideline on what to do and there isn't a handbook that tells you decisions you may or may not have to make! Prior to coming a parent, no one tells you just how many decisions come into having to be made? From small decisions to big decisions... Decisions that are easy to make and some that are hard to make! Some that could change ones life and some that could change the family's life! Today we came to the realization that the fight we once had is not the fight we have now!! The fight is no longer about trying to cure Emily, the fight is about keeping this disease at bay and keeping her comfortable and with a good quality of life! Yes really that was our conversation a conversation that no parent wants to have and to have about their child! Realization that this damn disease has a grip that we have to get our hands on!! Our hearts hurt, it js pounding with fear, sadness and worry and the heartache is painful!! It is getting harder and harder to talk about! People ask about Emily or how things are going and I've come to realize it is harder to talk about anymore to anyone, it's as if we are back at the beginning when it was hard to talk about but now it's different, our hearts hurt, they are bursting at the seams and just want to rip open and scream out! Today was hard, hard to talk about what the doctor here feels that we should do and watch as these doctors and nurses that we have spent the last 2 years with have more emotion about our daughter that we all had tears in our eyes! Emily has started to talk more to Dr Gowda and loves Elaine, something that we all take notice with! Not a dry eye in that room, talking about Emily who is progressing from a damn disease that should never even be in her body! 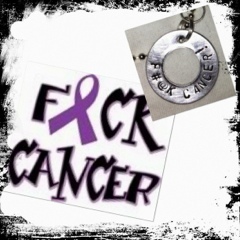 A disease (damn cancer) that should never be in any of our children's body, that we don't even know what is happening! This disease can become so aggressive that we won't even know what hit us! Just know that we still have our big guns on and we are not ready to give up this fight, but we are bursting at the seams that we are about to blow! I would be lying if I didn't say we are not scared, because we are scared of everything! Scared of EVERYTHING!! We haven't made any decisions just still talking them through again as parents! Waiting in scans to be scheduled in Michigan or early January! So today...today...today was a long day, longer than what we expected it to be. 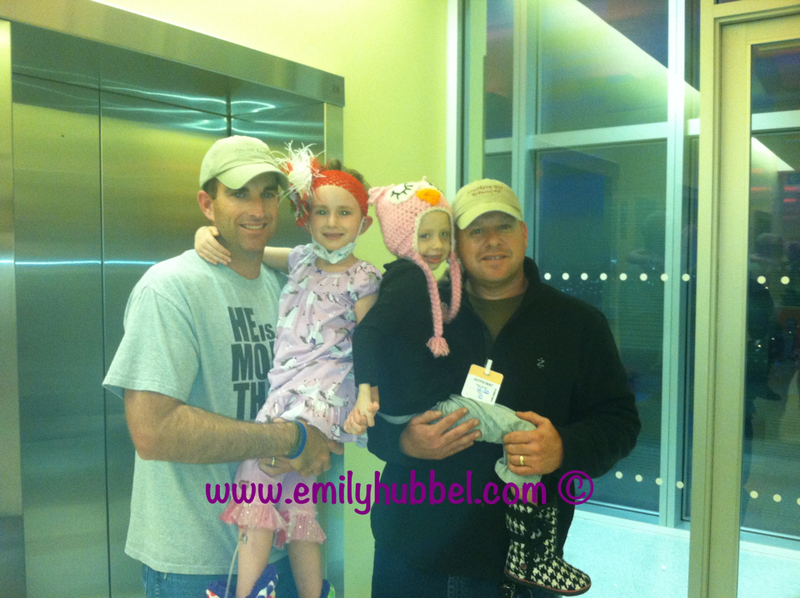 Counts were checked this morning and Emily's platelets dropped again, this time to 19. So, they dropped from 29 to 19 in two days. Certainly not what we wanted to hear and we were asking nurse Julie why she thought they were dropping. We really don't have an answer, but she had to get a transfusion. Once the platelets were just about done Dr Sholler and the Nurse Practioner Shannon came in. I can't remember what we were saying but I think it had something to do with the platelets and Dr. Sholler was standing there, and said "Well there is progression." WHAT? WTF you have to be kidding me? Im sorry you said what? She indicated she has some more spots in her spine and some on her head. Im sorry I can't be technical here and tell you were because this honestly wasn't the news we were expecting to hear. We didn't want to look at the scans, and didn't even look at the report, because once again like 2 years ago everything seemed blurry again. Tears began to flow and everything around us just seemed to stop. Emily has true progression these are spots that she has never had before. I know that Dr. Sholler said they are only in the bone, so no soft tissue just cortical bone. She has been taken off the CH14.18 trial so no more inpatient at this time and all medicines such as GM-CSF and accutane have been stopped. Its not working because the disease is spreading. IT'S NOT WORKING DAMN IT. We really thought the damn antibodies would clear us, what happened. How? Why? Because of the concern of the platelets dropping, they are worried about her bone marrow, so tomorrow at 8AM we we will meet with the nurse to have another CBC done and then have a bone marrow biopsy done. The biopsy was not planned, so this had to be placed in last minute. 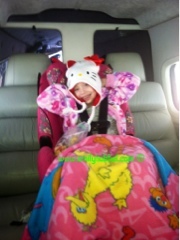 We should have a preliminary by end of the day of the results on her bone marrow. 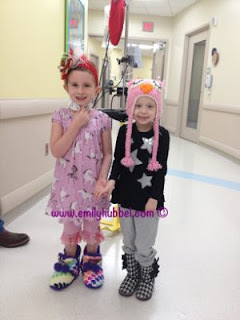 We will talk with Dr. Sholler about DFMO, she thinks we should put her on this and let Emily's enjoy the holidays and we can discuss from there what our next steps will be. 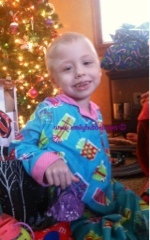 We think this is a good idea, Emily deserves to be home for the holidays with her sisters and have a wonderful day. We do already have Dr. Gowda searching for what other trials may be available to us and Dr. Sholler is looking and we as well will be looking. The Bone Marrow results will give us more of an idea of the way we need to go as well. If we have bone marrow disease,we are playing with something more messy.. But we are both are even more scared because Emily has not had any bone marrow disease since she was diagnosed 2 years ago. 2 years to the damn day Emily had scans and there is growth. What the hell? We are both at a lost here, both feeling sort of not together, just not understanding how this happened. Doug and I both went in seriously believing some of the spots had gone away and that we were well on our well of acheiving that clear that we have been wanting. Emily deserves to be clear, she really does. Emily DESERVES THIS. Our Christmas wish didn't come true and our hearts are broken and we are both scared. Emily is not in any pain right now, nor has she complained of any at this time and we hope it continues to stay that way and that this disease will go away. Im sorry I write this, but I am. Randomly today tears have fallen for both Doug and I. Neither of us can fathom the thoughts that something ever happen to Emily and have our 3 girls, 3 girls together. 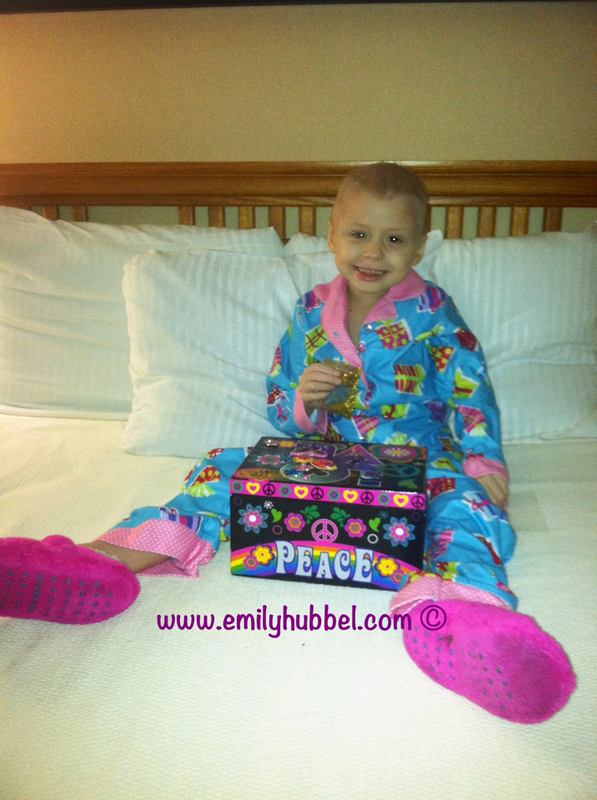 We can't fathom the thought of Emily not being here to celebrate her birthdays and Christmas and Holidays. We can't fathom the thought of being in our vehicles and looking in our rear view mirror and she not be there, so we continue to fight.And we honestly don't how we could handle it... Seriously this disease is a monster, a monster that invades our children and there is no understanding it. We haven't yet explained this to Emily, we really have to find the right way to explain it. Emily is so ready to be done with treatment, so we really need to find the words to talk to her and really have her understand. I know that many of you have been waiting for an update, but we really are still trying to swallow all of this. If we don't respond to text messages, emails or phone calls, please know right now we are still learning to deal with this in our way. We are still trying to figure out everything and moving forward. Today we went and picked up purple and yellow chalk for Teddy's mom, for Teddy, for Emily and all the other children fighting neuroblastoma. If the roads are not wet and covered with snow, we will be stopping every so often to write on the road.. We will draw a big yellow ribbon for pediatric cancer and in purple we will write cancer kills children too. 2 beautiful girls fight Neuroblastoma and they are both amazing. Please continue to think of Emily and that her bone marrow is clear and that mom and dad conitnue to have the strength to get Emily through this and that we make the decisions that we need to make. Mommy holding Emilys fingers during the scan. MIBG/CT spect was done and finished earlier today. Emily did great like she always does and actually slept during most of the scan. Emily had her counts checked on Tuesday when she was accessed and we got a call last evening letting us know that her hemoglobin was 8.9 and platelets were 29, so both have dropped since last Thursday evening when they were checked. So they will be checking them again in the morning to see if she will need anything at all. Seems that bad weather is on its way here, so hopefully clinic and visit with Dr Sholler won't be too long, but we will see. We haven't received any results as of yet, but Dr. Sholler was not in today so they were not looked at by an oncologist until she comes in tomorrow. Stress is just a bit high still, but hopefully all will be well in the morning. We have honestly laid low while being here, there are a lot of sickness out there. This time at the Renucci House they put us in a room that has a kitchen which has been really nice and we are so happy they did. Especially with Emily needed her shots and they need to be refrigerated, it has been very nice. Thank you all for your love, support and thoughts. I realized when I posted about Teddy Greer's Parents Wish that I haven't posted in quite some time and I honestly don't know what happened there. And while tonight won't be the night that I go into a huge post because we have a lot of scanxiety going on right now when upcoming scans. Emily just finished the 3rd round of antibodies on Friday. So, tomorrow we leave for Michigan and have MIBG Injection tomorrow, scans Wednesday morning and we meet with Dr. Sholler Thursday morning. These are big scans for us...being that Emily hasn't been on chemo for about 3 months now, so our anxiety is extremely high and what also makes the anxiety even higher is that December 18th into the 19h marks 2 years since Emily's diagnosis. 2 years ago tomorrow we went into the hospital and it is when it all started. 2 years. Please send your love and thoughts. I copied this from Teddy's Caringbridge... Can you help??? I realize it is raining or snowing in most of the country, so it might take a few tries, it doesn't have to happen today, just anytime really, as long as the word gets out throughout the year. Do it for the kids still fighting this beast, the ones who will be leaving in the next few days maybe weeks...., and all the children who have been killed by cancer.